Independent and private schools have a much larger degree of autonomy than state schools, so there is no local education authority to oversee their behaviour, but there are still places to turn when things go wrong. Both the Independent Schools Council and the DFE (Department for Education) have provided Bullying UK with helpful information for parents who are dealing with school bullying. All independent schools in the UK have to be registered with the DFE and are regularly inspected by Ofsted. However, most schools are also accredited and belong to other organisations such as the Independent Schools Council or the Independent Schools Inspectorate, which means their quality is also scrutinised and they are rigorously inspected on a regular basis. When things go wrong, just as in a state school, the first person to see will be the form tutor, head of year, house tutor or the head teacher. If the problem can't be resolved quickly and effectively after an initial face-to-face meeting, then write to the head, explaining the background and ask for the matter to be investigated and a strategy to be introduced to combat the problem. Hopefully, making a complaint to the governors will help resolve the bullying. If not, then write to the chairman of governors and enclose copies of correspondence with the head and explain why you are still not satisfied. 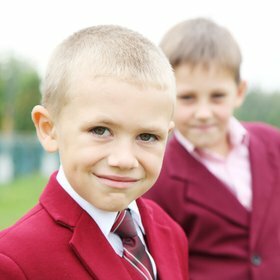 It is very important that you do not withhold school fees as the result of a dispute, this could result in county court action to recover them. When your child joins a school you will have signed a contract agreeing to pay the fees. The contract is likely to have a clause explaining that you need to give notice of removing your child and you will still be liable for the fees if you take a child away mid-term. If contacting the head and governors is unsuccessful, the next option is to take the matter up with one of the organisations to which your child's school is accredited. These organisations together make up the Independent Schools Council (ISC). All these associations except the HMC insist that any school seeking membership is assessed by the Independent Schools Inspectorate which operates broadly along the same lines as Ofsted. In addition, boarding schools are subject to the 1989 Children Act and governors, heads and private owners all have a duty under this act to safeguard and promote the welfare of their pupils. Social services departments also have to be satisfied that the welfare arrangements are adequate. All schools belonging to the Independent Schools Council are rigorously inspected. Since 2007 Ofsted has been responsible for inspecting all children's services, including boarding provision in schools. Members of inspection teams include former headteachers and Ofsted-registered inspectors. Just like state schools, there are detailed inspection reports, a summary of which must be sent to parents free of charge and parents can get a copy of the whole report if they want one. Ofsted keeps a watchful eye on these inspections and checks a proportion of them to ensure consistency. The Independent Schools Inspectorate is the body responsible for the inspection of schools in membership of the Associations that make up the Independent Schools Council. They are approved for the purpose of inspection under Section 162A of the Education Act 2002, and report to the Department for Education on the extent to which schools meet statutory requirements. Not all private schools are inside the accreditation system so ask the headteacher when you visit the school or check the prospectus. The DFE is concerned that all schools should treat the issue of bullying seriously and told Bullying UK: "Independent schools are expected to have a policy designed to combat bullying and evidence of this is sought during inspections of independent schools."